I went to the BCLA conference in Richmond last weekend. 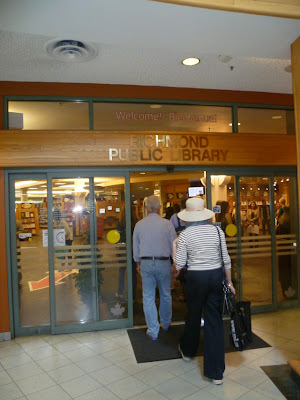 One of the things I did was tour the main branch of the Richmond Public Library. Yeah! More field trips! 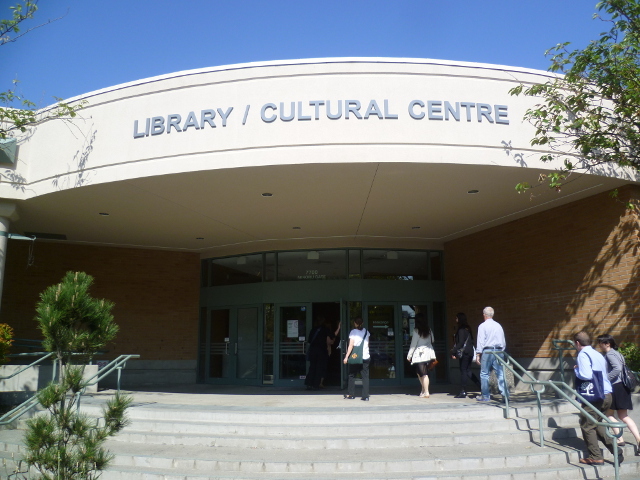 The library was pretty cool, though thinking back on it I seem to remember it really lacking in natural light. They had all these iPads in the kids area. They were on bendy stalk things so that they could be turned for motion stuff or so that this alien puzzle game could actually be used. In related news I have used an iPad once, when I briefly borrowed my mom's at Christmas time. This was really cool! It's a DVD vending machine. You put in a request on their website, then put your card into the machine, and out pops the DVD in a case! It's a super good way of cutting down on the space a DVD collection would take up, but also means that you can't browse them as easily. After the tour my friend and I were hanging out waiting for another friend, and I managed to read the final two volumes of Scalped by Jason Aaron, R. M. Guera, and others. It's probably one of my favourite graphic novel series of the last decade, just incredibly solid crime fiction set on an aboriginal reserve in the states. The final volume came out late last year, and I've been rereading them in order since I moved to Vancouver in January. The end of the series was good, though not exactly what I expected.